Another assignment I did while confined in my room, I think I must have done about 3 different drawing assignments last weekend simultaneously 🙂 I don’t impress much but this I’ve impressed myself again. Lol. 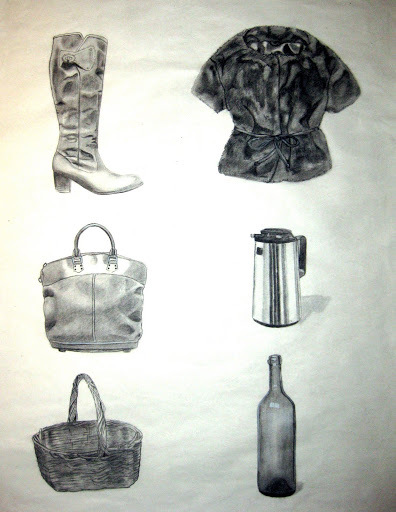 This was done in charcoal pencil on an 18×24 sheet of smooth newsprint paper. Fantastic. Just Fantastic. I didn’t know I could outdo my expectations on myself – if there was ever a time, this would be it. I am completely ecstatic on the turnout of these two projects.